Buy or rent your uniform with Tibard and enjoy our exclusive range of services only available to Tibard customers, including bespoke design and commercial laundry. Tibard is the premier manufacturer and supplier of high-quality uniforms, workwear and chef jackets. We’ve been providing uniforms in Peterborough and across the UK for over thirty years, and as Britain’s leading Workwear Company we know how important it is for your staff to look their best, so we also provide a professional commercial laundry service in Peterborough and Cambridgeshire. For over three decades Tibard has been designing, manufacturing and supplying chef clothing and hospitality workwear, so we know a few things about uniforms. In Peterborough, there are hundreds of businesses use Tibard for their uniform needs. Workwear is what we do, from managing the supply chain to the commercial laundry services working with Tibard leaves you more time to conduct your business. We supply and rent uniform to business in Peterborough, Milifield and Cambridgeshire at prices that work for our thousands of customers. Getting reasonably priced embroidery for your uniform can be a great way of defining your business and creating a brilliantly recognisable face for your business. Workwear is a lot more than just functionality; great clothes can project a professional image. However, it’s these little details that can set your business apart. Furthermore, it can be incredibly difficult to find reliable uniform rental services if you’re a small business, but quality workwear is an important aspect of forming the reputation of your company. 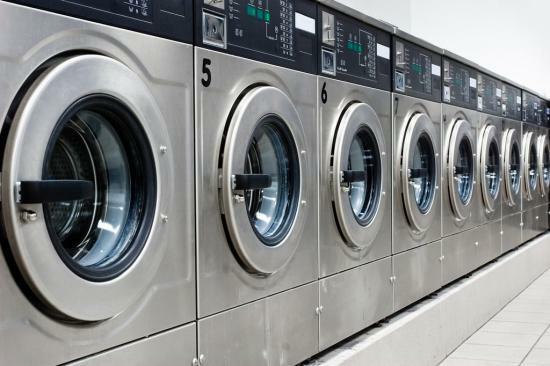 Tibard offers rental and commercial laundry services throughout Peterborough regardless of order size. Whether your staff is working on a construction site, in a kitchen or front of house, Tibard manufactures and supplies the workwear to suit your needs and your industry. Within the hospitality industry, we understand that different sectors of the business require different uniforms such as seasonal change for t-shirts in the summer and fleeces in the winter. Furthermore, for the past three decades, we’ve curated a selection of high-quality chef jackets currently used in restaurants across Cambridgeshire and Peterborough. Uniform should be more than what you wear to work; it should instil you with a sense of pride and last for years. Tibard’s reputation for quality products and great prices means that we have many valued customers in and around Peterborough and throughout the entire county of Cambridgeshire. As you’ll see on our website, we have a wide variety of garments suitable for uniforms in a range of sectors, and if you can’t find the right apparel for you, then we also offer bespoke uniform design and manufacturing. We understand that every business is unique, so we’ve got services to cater to big and small companies in Peterborough, Milifield and Cambridgeshire. So if you’re just a new business starting and need uniform rental services for a small number of staff members or if you’re a larger business who require bespoke uniform design Tibard had the resources to support you and your staff throughout the year. Our wide variety of items from reasonably priced aprons to hand-embroidered chef clothing appeal to a plethora of industries. With an excellent reputation that has kept us working with Peterborough and Cambridgeshire businesses for over thirty years.